Find help for writing your four required essays for The University of California application. There are eight prompts, which are called Personal Insight Questions, to choose from. Each of your four essays must be under 350 words. Read more about the Personal Insight Questions for both incoming freshman and transfer students on the UC Admissions web site. If you need more help, learn more about my tutoring and other services. original and innovative thinking, and artistically, … Describe how you express your creative side. Think about an academic subject that inspires you. Describe how you have furthered this interest inside and/or outside of the classroom. What would you say is your greatest talent or skill? How have you developed and demonstrated that talent over time? what do you believe makes you stand out as a strong candidate for admissions to the University of California? If you are just starting to write your four short UC essays (called Personal Insight Questions), here are ten simple tips that can help you crank them out. I’ve written longer posts on how to brainstorm and map out answers for each of these questions for the University of California application, if you have the time and inclination. Find them here. As you probably know, the University of California changed its required essay prompts for 2016-17. Start Your UC Personal Insight Question Essays for 2016-17 Now! Want to Go To College In California? Get Your Application in ASAP!! This year marks my 30th year living in California. I love this state! I moved here from across the country to join my future husband in 1986, and never looked back. The people are welcoming and forward-minded (for the most part), the dramatic natural beauty of ocean, mountains and dessert is everywhere, and the weather is near-perfect. Also, California’s public educational system is unsurpassed, from the network of community colleges to the Cal States to its world-class research and learning universities, like Berkeley and UCLA. UC essay prompt 7: What have you done to make your school or your community a better place? The minute I read UC essay prompt 7, I thought most students would jump at this question because most have spent endless hours volunteering during high school. Now it’s time to recall some of your most interesting or meaningful “times” or experiences. You could write a strong essay about giving back, but you have to be careful to avoid the cliche trap.The trick is to think of something unusual or unexpected that happened during one of those experiences. Brainiacs, Nerds, Geeks and Former Slackers—This Essay is For You! UC Essay Prompt 6:6. Think about an academic subject that inspires you. Describe how you have furthered this interest inside and/or outside of the classroom. Well, this is probably the most straightforward of the eight Personal Insight Questions (which I call essay prompts) that the University of California admissions has to offer wannabe freshmen for 2016-17. It’s also your best chance, similar to UC essay prompt 4, to showcase your passion for learning. When you read UC essay prompt 6, did an answer pop into your head immediately? If You Have Faced Hardships, Share Them! This is not whining or complaining. If you know what you want to study in college, I would seriously consider writing about UC essay prompt 4. I believe all students who need to answer four of the new University of California “Personal Insight Questions” should seriously consider the third one, otherwise known as UC Essay Prompt 3. If you’re a student who has focused on one special talent or skill in your life, and are recognized in that field as “among the best,” this is your chance to share that in detail. However, you don’t need to be a star at your talent or skill to write an effective essay about it. Pick the 4 Best UC Personal Insight Questions for YOU! If you’re applying to any of the University of California schools, you need to write four short essays. To start, read through all eight of the Personal Insight Questions you have to choose from. UC Essay Prompt 8: How Do You Stand Out? UC Essay Prompt 8: Beyond what has already been shared in your application, what do you believe makes you stand out as a strong candidate for admissions to the University of California? Out of the eight new University of California essay prompts for Fall 2017, I think that most students should consider writing about Prompt 8 as one of their four required mini-essays. More than any of the other questions, this prompt targets most directly what makes you YOU, and asks to understand something about your most fundamental qualities, characteristics or values. The University of California announced NEW essay prompts for 2016-17. Read about how to answer them HERE. Yes, you have waited until the last minute. But don’t despair! There’s still time to pound out two awesome essays! If you’re working on your two college application essays for the University of California freshman application, I’ve put together a short list of my most helpful posts. Read through them, watch the videos, and get crankin!! Last-Minute Help for UC Essays!! If you are applying to the University of California schools, you have until the end of this month (this Sunday, Nov. 30!). As busy seniors, some of you might have waited to write your two college application essays over Thanksgiving, when you have some days off and can catch up. The key, however, is to not let this last minute deadline dash ruin your Thanksgiving. So yes, you are really cutting it close. If you don’t have a plan, it could hang over your head the entire holiday weekend. 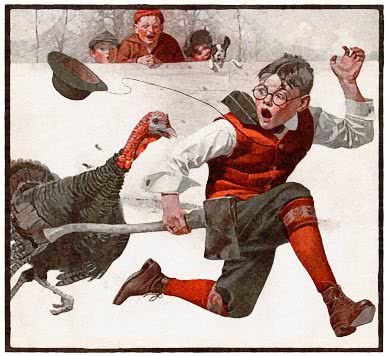 Don’t Let UC Deadline Ruin Your Turkey Day! If you are applying to the University of California schools, you have until the end of this month. As busy seniors, some of you might have waited to write your essays over Thanksgiving, when you have some days off and can catch up. Yes, it would be better if you already had them in, but there is still time.